Cyperus diandrus.Donald Cameron.New England Wild Flower Society.gobotany.newenglandwild.org (Accessed 4/2014). Cyperus diandrus is an annual C4 sedge (Li et al. 1999), tufted, 10-20 cm tall, stems slender. 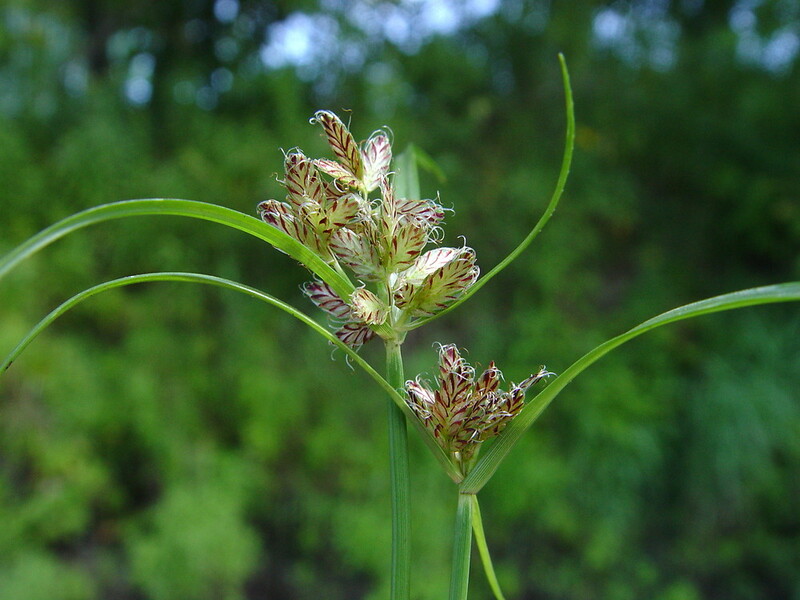 Leaves often as long as flowering stem; inflorescence bracts 3, the lowest to 15 cm long, stalks of spikes (rays) 1-3, to 6 cm long. Fruit: achenes lens-shaped 0.1 cm, style persistent; blooms and fruits June-Oct.